Great daytime casual look. 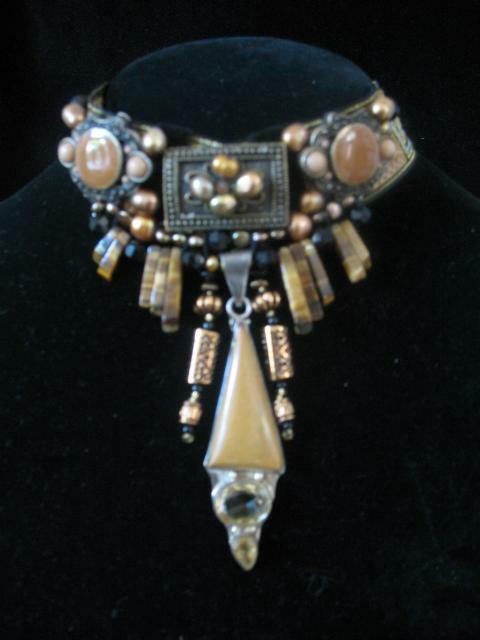 A medley of freshwater pearls and tiger eye amidst various objects of art. The center drop of jasper and citrine is set in sterling silver.